All these days, if you were under the impression that choosing a meaningful name would be enough, then you are wrong. If you wish to know how your son will turnout to be in the future, then you must have a thorough knowledge of the first letter of his name. Each letter of the alphabet has a numeric value, which reflects certain character tendencies and aptitudes of the bearer and the letter P is no different. The letter P suggests spiritual people with a keen desire for attaining wisdom and knowledge. They have strong psychic abilities and use their natural senses to gain knowledge into the unseen, spiritual and metaphysical realms. At times, it may seem that these guys are not interested even a wee bit in what you’re doing or saying. But in reality, they’re excellent observers and do not miss even the minutest of details. In short, P people have all the abilities that can help them be a great teacher in any field. But on the downside, P people can appear a bit flaky and selfish. That’s probably because of their aloofness and introvert nature. 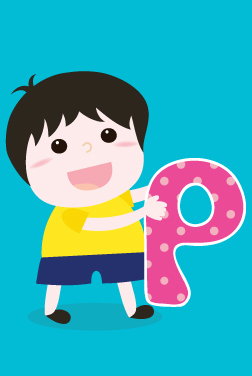 Below is MomJunction's comprehensive list of baby boy names starting with the letter P, ranging from classics like Peyton, Paul, and Patrick to trendy ones like Pacen, Pablo, and Polk.